The Nigerian Afang Soup should not be confused with the Okazi Soup native to the people of Imo and Abia States of Nigeria. 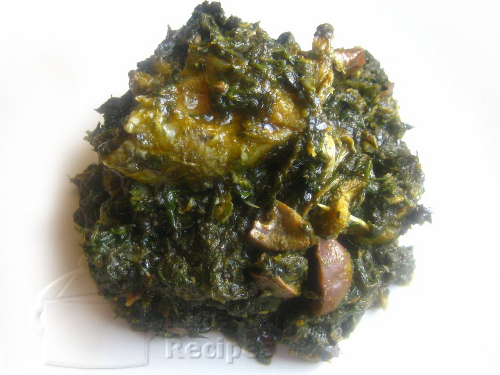 While Afang soup is prepared with basically vegetables, Okazi Soup is simply the Nigerian Egusi Soup cooked with thinly sliced Okazi leaves. Great alternative to water leaves is Lamb's Lettuce, known as Canonigos in Spanish. Wash, drain and slice the water leaves into tiny pieces. 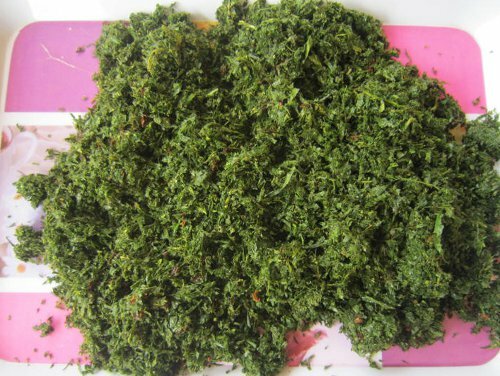 Grind or pound the sliced Okazi leaves. 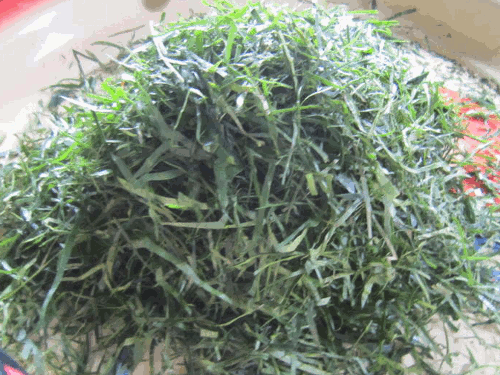 In Nigerian markets, the sellers of these sliced Okazi leaves have a machine for grinding it. 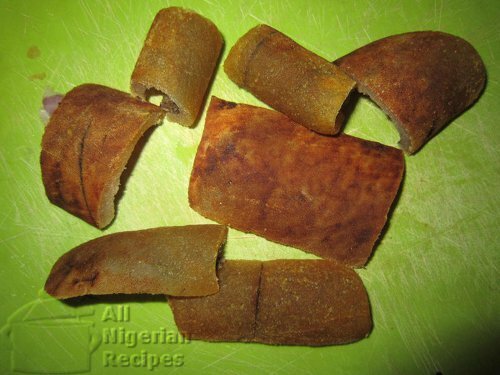 You can also grind it with your blender with a small quantity of water. Take a look at the ground Okazi leaves. Grind your pepper and crayfish and cut the onions into tiny pieces. Boil the beef and Kanda with the diced onions and stock cubes in a very small quantity of water. When done, add the dry fish and cook for about 5 more minutes. Now add the palm oil, crayfish and pepper. 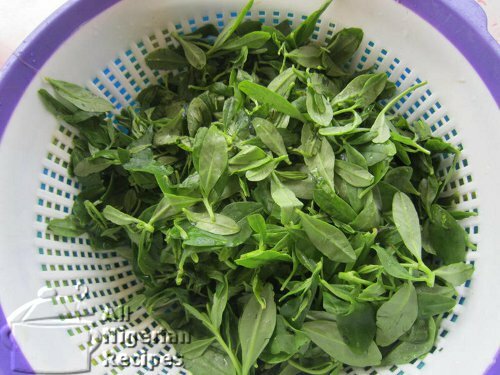 Once it starts boiling, add the afang (okazi) leaves, water leaves and periwinkle. 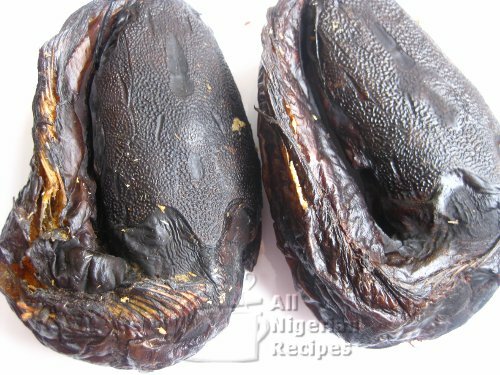 When the okazi leaves have softened and the water has dried up a bit, add salt to taste and leave to simmer for about 5 minutes. The Afang soup is ready!